Most of you will be familiar with “contingency fees”, meaning the fees a client agrees to pay a lawyer only if the lawyer is successful in the litigation for which he or she is hired. They are most often used in personal injury matters, with the lawyer’s fee being calculated as a percentage of the amount recovered for the client. But what you may not know is that in Ontario Family Law matters, contingency fee arrangements are prohibited outright. And in a recent decision, the court “undid” an arguably creative approach by a Toronto-area Family Law firm, finding it was a prohibited contingency fee by another name. In Jackson v. Stephen Durbin and Associates, the husband was involved in a contentious custody battle with his wife over their 6-year-old daughter. Under the retainer he signed with the law firm chosen to represent him, the husband agreed to pay the lawyers an hourly rate for working on his case, but “with a daily counsel fee for court or tribunal appearances at ten-fold (solicitor’s) hourly rate and an increase in fees in the event of a positive result achieved (“results achieved fee”)”. About two years into the litigation process, the husband had depleted the retainer funds and began to accrue arrears with the law firm. After several accommodations and re-negotiations, the husband still owed the firm its fees totaling $132,500. He challenged the law firm’s overall bill, especially the “results achieved fee” of almost $72,500, which had been rendered on a separate invoice. He claimed this was tantamount to a contingency fee agreement in a Family Law matter, which is clearly prohibited by section 28.1(3) of the Solicitors Act. The logical interpretation of that agreement is that the “results achieved fee” is only chargeable if a successful result is achieved. I find that the language of the retainer agreement combined with the way the results achieved fee was charged (by way of a separate account), confirms the firm’s intention that the fee was contingent on the successful disposition or completion of the matter in respect of which services were provided. As such, the results achieved fee charged by the respondent to the applicant is a contingency fee defined by the Solicitor Act and is a prohibited charge. 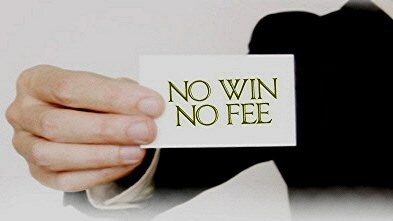 In short, the “results achieved fee” was merely a contingency fee arrangement in a creative wrapper. The court accordingly ordered the law firm to refund the almost $72,5000 “premium” that the husband had been charged. (e) The extent to which any work needs to be performed on an emergency basis. None of these elements are capable of a precise arithmetic assessment, and no such assessment is attempted, except in a general way with respect to the time spent. A standard hourly rate, is applied to convert the time into a monetary figure. Any amount that exceeds the number of hours multiplied by the standard rates is the result of the weighing of the other elements mentioned. We charge standard hourly rates for the work done by our law clerks and lawyers for the time spent on your case. Records are kept (in our computer time-keeping system) by us to the nearest one tenth of an hour, for all activity on your case, including conferences, telephone calls, e-mail, preparing correspondence and memoranda, drafting documents, research and travel time. Each hour billed to you is based on actual work done on your particular case. Our absence from the office on your behalf is charged at the usual hourly rate. Travel time includes attending at court, settlement conferences, meetings, or consultations on your behalf. We will minimize travel expenses and courthouse time, if any, whenever possible. However, as you will be charged for our traveling time (in addition to the counsel fee), it may be worthwhile to consider whether a local lawyer is desirable for you if your litigation is taking place in another community. If your appointment is for a consultation only, in order for you to receive advice on a limited number of issues, or, for example, for a second opinion, you will be billed a flat rate consultation fee, payable prior to the consultation. The consultation is not meant to deal with your whole legal problem. These rates are reduced rates, and apply only if the fee is paid at the time of the consultation. The rates are calculated on the basis of the average amount of time spent by our lawyers on consultations in the most recent year. For a Divorce Trial, is $430,000 in Legal Fees Too Much? Anyone who has gone through a divorce will know that legal costs can get out of control. But consider the recent Ontario case of McCabe v Tissot, where the court was asked to rule on whether the husband should pay the wife’s legal fees of $430,000, part of divorce litigation that “financially devastated” both former spouses, and which saw the wife alone rack up almost $1 million in legal fees overall. The court’s first step was to determine which member of the sparring couple had been the successful party at trial, because under Ontario civil procedure this is essentially the starting-point for determining how costs should be apportioned, although additional factors come into play as well. Both parties claimed that they had been entirely successful on all significant issues. Perhaps not surprisingly, in addition to disputing her entitlement the husband also took issue with the wife’s dollar-figure: the $430,000 she was claiming was both excessive and disproportionate, in his view. The wife had chosen to endlessly litigate to the point where both parties’ financial stability, and thus the well-being of their son, was in jeopardy. He said that for his own part, he had been financially ruined by the whole process. [t]he amount of legal fees spent by the parties on this litigation is astronomical and completely unreasonable. The [wife] has mortgaged her home and has very little equity left as was her evidence at trial and as set out in her sworn Financial Statements. The [husband] also spent an exorbitant amount on legal fees borrowing funds from his parents to finance the first trial. The [wife] alone has spent close to $1 million on legal fees and disbursements. The [husband] borrowed over $393,000 from his parents. The fees spent by the parties are completely disproportionate to the issues before the court. The parties lost sight of what is reasonable and what is proportionate. The financial devastation suffered by this family will last a lifetime. Most importantly it will once again negatively impact their son…. …from the spring of 2013 onward conflict ensued and they attended court numerous times, obtaining approximately 41 court orders. Not only did this financially devastate the parties and affect Liam detrimentally as set out in my Reasons, but it also resulted in the use of an inordinate amount of judicial resources. My only hope is that the parties have now come to the realization that the destruction both financially and emotionally was not worth it and they will not become embroiled in further litigation in the future. Only time will tell. After reviewing all the relevant factors, the court concluded that legal costs in the amount of $125,000 were payable by the husband to the wife in the matter. If a father runs up almost $400,000 in legal costs – including nearly $75,000 in expert fees – in pursuit of a low-dollar-value victory in court, should this be considered in assessing legal costs later on? In Jordan v Stewart, court was asked to allocate legal costs in connection with the parents’ dispute over whether the father’s obligation to pay child support for their now-20-something son should be terminated. The young man had been attending University in London, Ontario but when the father learned that he was switching to a college in Toronto, he applied to have child support cut off, on the basis that the young man would be independent and no longer be living with his mother in London. In fact, the father asked for the termination of his support obligation to be back-dated three years. The father brought a motion to have the support obligation end; the mother wanted the father’s motion dismissed. Although the issues were relatively straightforward, the hearing took up several days of court time, and required expert evidence and scrutiny of the father’s income. The father did not get the order he wanted, but the mother wasn’t fully vindicated either, since there were additional legal issues that were also addressed at the same time. Given those rather mixed results, the judge was challenged to apportion legal costs, which under Ontario civil procedure are usually (but not always) given to the winning party. So the court had to determine which of the parents had been the “successful” one in the proceeding so far. The stakes were potentially high: The father had incurred about $373,000 in costs in preparation for certain proceedings, including almost $75,000 paid to an expert to provide an opinion on his income for child support purposes, for the years 2010 and 2011, based on various financial scenarios. But despite the staggering run-up of costs, the father was asking for only 25% of it from the mother – which was still just under $90,000. This case is another example of courts struggling to determine entitlement and quantum of costs. The costs issue is made more complex by the father’s willingness to spend approximately $400,000 in legal and expert fees. This amount is significantly disproportionate to any amount that he advances as his best possible financial outcome. The father also knew that, if successful, he probably would not recover the costs in any significant way from the mother as she has limited financial resources and appeared in court without counsel. This case is an extreme example of a person who was prepared, as he has been in the past, to spend significant sums of money without concern for costs or outcome. While I cannot conclude that the father in this case deceived the court in any manner, his willingness to spend money on legal and expert fees so out of proportion to any economic benefit defies logic. The reasonable conclusion is that the father was prepared to cause financial harm to the mother and his son even at incredible expense to himself. He certainly never expected to recover his costs [from her]. He does not seek to recover most of the significant fees he spent, a signal that the money was not a factor in his pursuit of the case or relevant to any resolution. He was prepared to spend more money than any financial benefit to him if he succeeded. The judge also observed that the mother had made multiple reasonable offers: she had suggested mediation, and offered to accept reduced support. The judge found these offers were all “worthy of the father’s consideration”, and would have been far more financially beneficial to both parties than what transpired. In the end, using the father’s own tally of his costs as a representative “measuring stick” of the fair compensation to which the mother should be entitled, the judge awarded her the nearly $90,000 in costs to be paid by the father, plus the $34,000 he already owed her. a. Is it fair for people who have never paid any taxes to be so cavalier about how they spend other people’s money? b. Is it fair that Legal Aid has decided to fund this easily resolvable case, when every day I see people with much more serious and complex problems who have been denied any help by Legal Aid? c. Is it fair that more important cases, many involving the well-being of children, couldn’t be dealt with on March 9, 2017 because our court was required to devote one of our limited timeslots to this case? The balance of the decision has much the same no-holds-barred tone. And while his comments might be unusually critical and frank for a judge, this isn’t the first time Justice Pazaratz has spoken out this way. In several prior cases he provided similar disapproval of profligate spending on needless motions and other procedural wrangling — whether paid by from the public purse or otherwise. He now seeks costs in relation to a 1- day custody trial … He won; sole custody. The Applicant mother was represented by counsel. Her poor finances qualified her for Legal Aid. Now she says those same poor finances should excuse her from paying costs. The Respondent asks a valid question: Does she have wings? Can she do whatever she wants in court, without ever worrying about fees – hers or anyone else’s? In the case at bar, the Applicant conducted herself as if her Legal Aid certificate amounted to a blank cheque – unlimited resources which most unrepresented Respondents would be hard-pressed to match. A scheduled 3-4 day trial turned into 17 days, largely because the Applicant fought every issue and pursued every dubious allegation, to the bitter end. She appeared to make up evidence and allegations as she went along. She defied court orders directly impacting on the child, even while the trial was underway. There have to be consequences. Either we sanction this irresponsible and destructive behaviour, or we invite more of the same. Encouraging settlement and discouraging inappropriate behaviour by litigants is important in all litigation – but particularly in family law, and most particularly in custody cases. No litigant should perceive they have “wings” – the ability to say or do anything they want in court, without consequences. Returning to the most recent of decision that is now under controversy: It’s a 2017 case called Abdulaali v Salih in which Justice Pazaratz simply turns up the volume a little, on what has apparently become a recurring theme with him. To give his latest comments context: The divorcing husband and wife, both of whom had immigrated from Iraq and had never worked in Canada, were both monthly recipients of government money from the Ontario Disability Support Program. Their litigation was being funded by Legal Aid Ontario, and since they had “no children. No jobs. No income. No property. Nothing to divide.”, he added that it should be “a simple case”. a. A Court Services Officer. I have no idea how much the other players in the courtroom get paid. But as a Superior Court Judge I receive approximately $308,600.00 per year. So you can see that not even counting overhead charges and administrative staff in the building, every hour of court time is hugely expensive. Many taxpayers can’t afford their own lawyers, and don’t qualify for free assistance through Legal Aid. So they end up representing themselves in court. Or facing financial reality and settling without going to court. But when you pay no taxes and Legal Aid gives you a free lawyer, there’s no incentive to be sensible. Why worry about the cost when some unsuspecting taxpayer out there is footing the bill? Clearly Justice Pazaratz has an axe to grind. Does he go too far? Or is he right?